An huge old anchor trawled in Cornwall may be from one of the most valuable shipwrecks in history. The Merchant Royal, a 17th-century English merchant ship, was lost at sea off Land's End in September 1641. It is believed that the ship sank carrying gold, silver and bullion worth hundreds of millions - if not billions - in today’s prices. 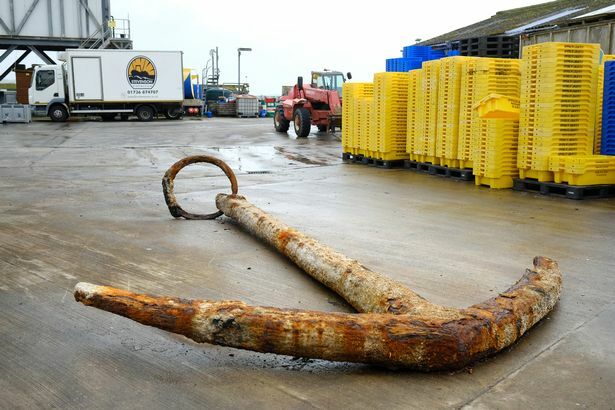 The giant anchor was trawled by the fishing vessel Spirited Lady earlier this week, and is estimated to date back to a period between 1600-1800. The anchor's size and age have led some to speculate that it may have once belonged to the Merchant Royal. The ship was rumoured to be the wreck found by the US company Odyssey Marine Exploration in 2007 and known only by the codename Black Swan. But after lengthy legal wranglings, Odyssey was ordered to hand over coins recovered from the wreck to Spain, suggesting that the ship was really a Spanish frigate. The case became notorious when it popped up in leaked US diplomatic cables released by the WikiLeaks website. Still, as far as we know, the Merchant Royal – nicknamed “the El Dorado of the seas” – is yet to be discovered.